The angled wood legs, combined with the clear glass table top, of this dining table make for an interesting (and exceptionally modern) dining experience that doesn’t dominate the room. Sea Cliff Dining Table, $735. Visit Dot & Bo. This elegant sideboard would be the perfect stand for a record player, statement lamp or your favorite sculpture. The wood grain and rich color make for an eye-catching addition to a family or living room. 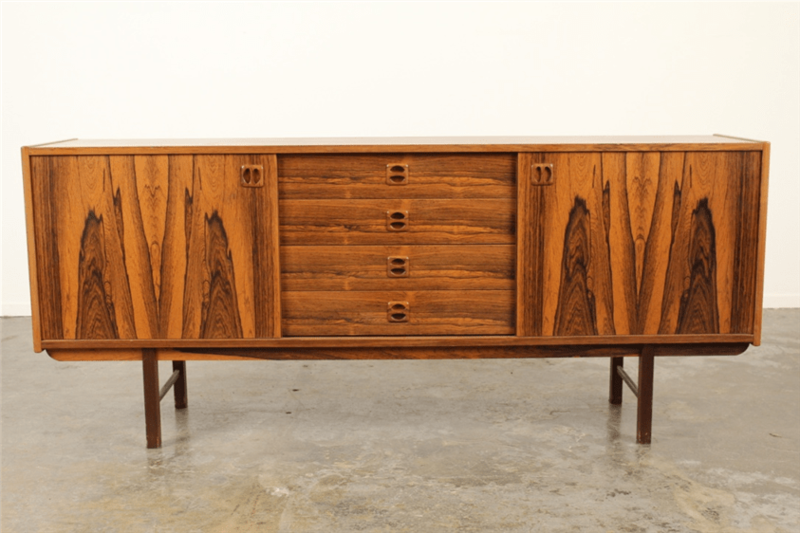 Sideboard 4437, $3,800. Visit MidcenturyLA. 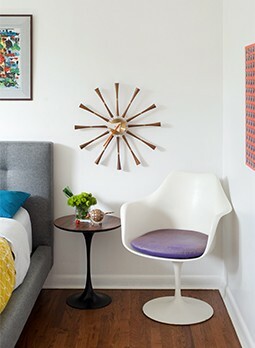 Instantly turn any table or desk into a midcentury piece with these hairpin table legs. Their trademark shape quickly makes any piece into an atomic table, and you can even color coordinate with your current decor. Hairpin Table Legs, $11.95 – $29.50. Visit tablelegs.com. 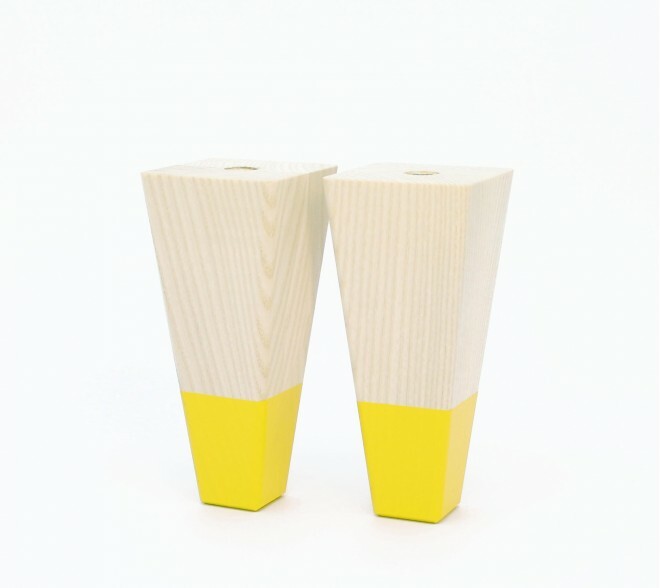 If your bookshelf or credenza needs that midcentury flair, these yellow beauties will give your piece the lift it needs while adding a pop of color for a lifted surface that has something interesting going on from top to bottom. Aldor 135 (yellow/ash), $14 each. Visit PrettyPegs. 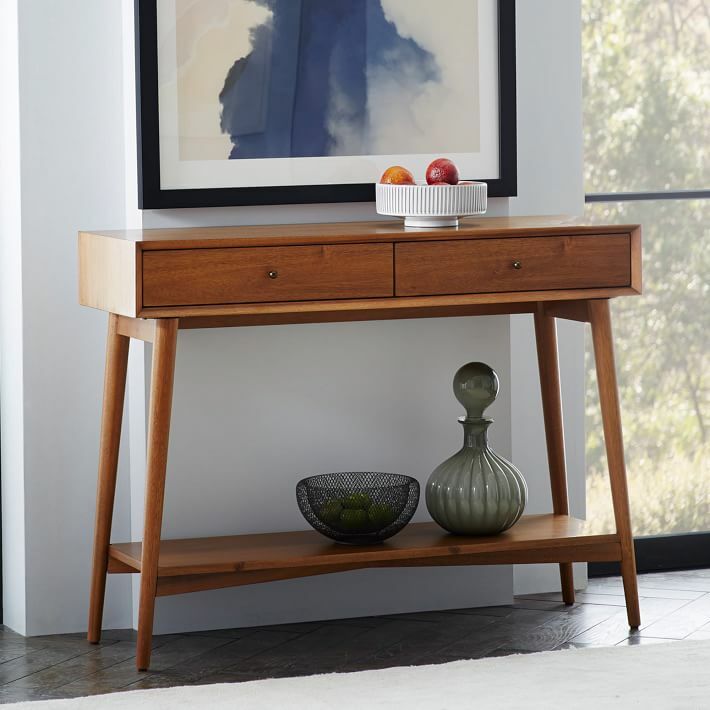 Tall and leggy, this beautiful acorn console add that perfect tabletop surface to any hallway or awkward wall space without dominating the room. Mid-Century Console, $399. Visit West Elm.